Location: Mexico, Burma, Japan, Madagascar, Bolivia and Russia. History/Mythology: Danburite was first discovered in 1839 in the town on Danbury (this is how it got its name) in Fairfield County, Connecticut USA. This area is no longer a source of Danburite however it did spark an interest in finding it in other areas around the world. Most of the worlds current Danburite comes from Mexico. Danburite is a very high vibrational stone and yet a peaceful calming stone at the same time. Danburites high vibration come from the fact it is carrying the cosmic light or spark in each stone. You can draw on this knowledge deep within to move towards enlightenment and spiritual grown. During these times when you are opened up to and accessing new knowledge it can be a very challenging time as you struggle to release old pathways, Danburite allows you to move forward calmly and peacefully in the knowledge that everything will be the way it is meant to be. It is a transitional stone that allows you to move from one area of your life to the next, this includes the acceptance of the fact that death is a part of the cycle of life and happens to us all. Danurite works through the Heart Chakra and up to help connect you with higher vibrational beings, angel, spirit guides and divine source. By doing this it allows you to connect with your higher consciousness and access higher knowledge that you have within you. 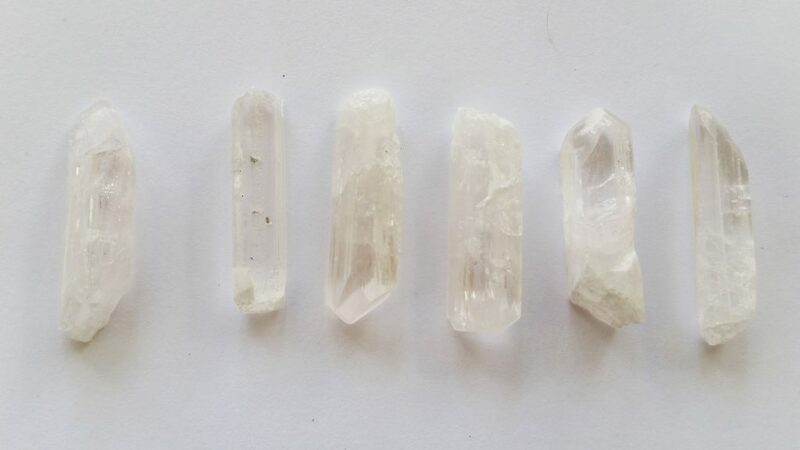 Danburite allows you to release old hurts that are preventing you from moving forward as well as clear away any karmic damage you are carrying. Chakra – Heart Chakra, Throat, Ajna (third eye), Forehead and Crown Charkas as well as moving up through your spiritual Chakras. Healing – Clears allergies, detoxifies, treats gallbladder and liver. Aids muscular and motor function. Place by the bed, this stone will help the dying on their journey. Great to use when you want to strengthen your connection with higher beings. A fantastic tool to assist someone to move to the next stage in life, this also applies to easing the transition from life to death. Place a piece beside the bed to prompt vivid dream work.